Do you have that one fabric that you're hanging onto for the "perfect project?" Well, for me this is the fabric. I knew I'd had it for a while, but wasn't sure exactly how long, so I went through my records and discovered I bought it from Fabric Spark in 2014! It's called Poetry, in Teal and is part of the Garden of Earthly Delights collection designed by Studio KM for Free Spirit. You probably already know that I'm a bird lover, and I tend to gravitate toward fabrics with birds. I think this print is so pretty, with its saturated colours and how it makes the black and white bird pop. The bird is quite large, so I was just waiting for the right project that called for something in this scale. Along came the Fiesta Tote! As usual, I'm often inspired by the pattern name to choose my fabrics. I also knew that the pattern would be released in Spring, so I wanted something bright and cheerful. Polka Dots! These polka dots are from Jackie McFee's Opposites Attract collection and they work perfectly with the black and white from the exterior of the bag. Now about the pattern: the Fiesta Tote was written for a bag making retreat that just wrapped up in the UK. Samantha (aka Mrs. H) wanted attendees to have some special patterns to work on during the retreat, so she actually designed 3 new patterns. This one was designed for beginners, or intermediate "bagineers" looking for a quick sew. There's also the Toiletry Tote and the Machine Bag. You can buy them all as a bundle, or each one individually. The Fiesta Tote has a rounded bottom, achieved with darts, and a removable adjustable strap, plus small handles. It also features interior slip pocket and interior zippered pocket. The main compartment is closed with a magnetic snap. The approximate dimensions are about 14" wide by about 11" tall. I used webbing for my handles and strap, which is what is called for in the pattern and really allows for the bag to come together quickly. Some testers made their own, for a more custom look. I used D rings to attach my strap, but you could also use a triangle ring. The rivets are optional, but I love the extra touch to tie in all the coordinating hardware. The pattern includes instructions to place an exterior zippered pocket, but I omitted mine in order to keep my focal point. If you've been wanting to dive in to bagmaking, this pattern is a great place to start. It offers a taste of hardware, a small variety of interfacing and a beautiful bag at the end! Find the pattern here, or to purchase the bundle, click here. Here in BC, kids get 2 weeks of Spring Break, yes you read that right! March is not my favourite time in the Fraser Valley - too much rain for my liking, but I didn't want that to stop me from taking the kids out for some fun activities. I wanted to make sure I also had fun and participated in our activities, so I needed a bag that would allow me to be hands-free. Last summer,I made the Beatnik Waist Bag, and it was perfect for then, but this time, I was looking for something a bit bigger, to accommodate a few snacks. There are plenty of cute backpack purses out there (maybe I'll do a roundup one of these days) but I chose Swoon's Lucy because it looked fairly quick, and even had some options I could skip to speed up the sewing. Another plus for me was that I already had the pattern, as part of the Vintage Collection from Swoon Sewing Patterns, such a great buy! My latest fabric purchase from Fabric Spark included these fun Echino Motorbikes and I really wanted to use them right away. Like many of the fun Echino fabrics, this one is printed on a cotton/linen blend. Now just to pick the accent and lining fabrics. I knew I wanted something bright to bring out the fun of the motorbikes, and when I saw the corner of this Dottie Bandana (now sold out) peek out from from my stash, I knew it would be perfect. Next was the lining: silly as it sounds, I wanted something that matched the theme of the activities I had planned with my kids. I planned "field trips" with lots of built in learning, so I already had an inkling I would choose a text fabric, and just like the Cotton + Steel, this Encyclopedia Galactica print practically jumped out at me. To make the bag a bit quicker, I had already planned to skip the grommets and make a casing instead, and I was happy to find that the pattern already included that option, which made me happy since I didn't have to do math. I also skipped the interior pocket, but I kept the back pocket and it's perfect for my phone. The pattern has an option to use a zipper on the straps, but again, I went with the quicker, separate strap option. I will only use the bag as a backpack, so didn't think in this case it was worth the extra steps to add the zipper. As for size, I'm thrilled, it's exactly perfect for my needs. It fits my large wallet (Necessary Clutch Wallet), keys, garage opener, extra zippered pouch (for girly stuff) and plenty of room for a water bottle and some snacks, but it's not too big and it doesn't weigh me down. The straps are adjustable so the bag can fit over a few layers if need be. Did you make something for Spring Break? What inspires your fabric choices? Let me know in the comments! I've been working on secret sewing lately and it's been so hard to keep them all quiet. I'm bursting at the seams to share these awesome patterns and thrilled I can finally show you this one. It's the Prairie Girl bag, by Janelle from Emmaline Bags, for the December pattern in the Bag of the Month Club. This bag has it all! The front zippered pocket has card slots, and even a pen loop! The main section is two separate zippered compartments and the strap is adjustable so you can wear it on the shoulder, or cross-body. Lining up the butterflies from the pocket to the main bag was an experiment that worked, thankfully! I'm not a prairie girl myself, having lived on the west coast my whole life, but I wanted the fabric for this test to match the name. I envisioned butterflies in sunny fields and pretty foliage when I did this fabric pull, and I think they're so pretty together. These are prints from two Lizzy House collections: Natural History and The Lovely Hunt. A great thing about this bag is that it's low on hardware. It really only needs an adjustable slide and 2 rings. I even managed to upcycle my hardware from a thrift store bag. You can also use rivets to attach the straps, but if rivets make you nervous, you can just stitch them on instead. 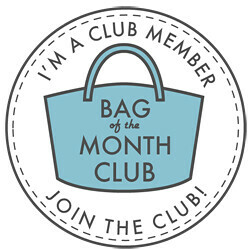 If you want to read more about the Bag of the Month Club, you can check out the Emmaline Blog. There's also a big announcement from Janelle in her post, you won't want to miss it. Update: The Prairie Girl is now available individually from Emmaline Bags, click here to purchase. I've tried to scale back my pattern testing lately in an effort to make life a little less busy. I do enjoy it tremendously though; I'm definitely not a designer, so it's nice to still have a small part in bringing a pattern to life. When Anna of Noodlehead asked me to test out this latest bag pattern of hers, I couldn't say no. I always love her elegant designs, and this bag is no exception. I've been hoarding Sarah Jane's Out to Sea since I bought it a few years ago. It's such a cool collection and I find it so inspiring. I still have a complete map from the collection that I'm saving for the perfect project. The name "Compass Bag" instantly made me think about navigating the open seas, so I paired Out to Sea with Sarah Jane's newest collection, Magic. The mermaids spark the imagination, a perfect partner to adventure. I also threw in some Michael Miller metallic arrows, because they went with the theme, and it helped tie in the metallic Essex Linen I used for the main exterior of the bag. This was my first time using the metallic Essex Linen, and my only complaint is that it's super hard to photograph how awesome the sheen from the metallic threads looks. The bag comes in two sizes. I made the large. It also comes with instructions for two different types of exterior pockets. I chose the more simple version, to better show off the prints I used. The other pocket option offers pleated pockets with flaps. The construction of the bag is also part of the design feature, with its pieced main panels and topstitching along the centre line. The subtle curved top makes it trendy, yet classic. The flat bottom allows the bag to stand up on its own. Inside the bag is ample room for your next adventure, or even just a trip to the bank, as the case may be. There's an interior zippered pocket, as well as a divided slip pocket. There's a bit of hardware in this bag, so it's great for those wanting to try it out. The rivets are optional, but I think they look great and they're easier to add than you'd think. It's a really versatile pattern and you can really change the look depending on the fabrics you choose. Oh! I almost forgot to mention: it's pretty quick, so would work really well for some Christmas sewing. If you want to see other versions of this bag, or want to get the pattern, head on over to the Noodlehead website. Hi everyone! 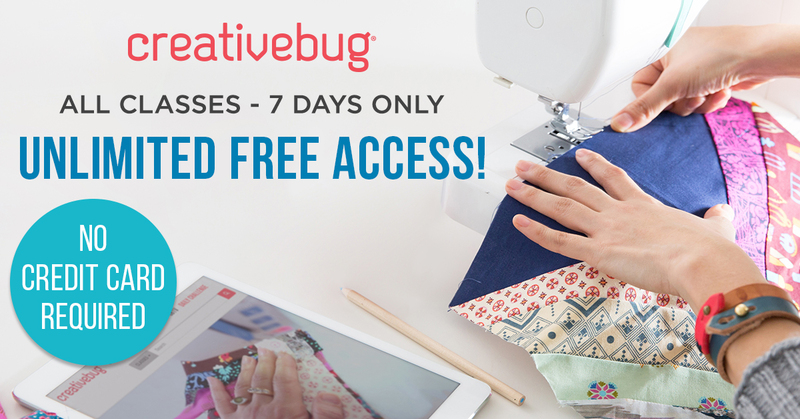 Summer's almost done, kids are heading back to school, and now maybe you'll have a chance for a little bit of "me time" so this new free pattern will be perfect for you. I had a chance to test this latest pattern from Sewing Patterns by Mrs H.
I found this pouch to be really quick and easy. The most time consuming part is sewing the elastic spots for your nail polishes or essential oils. The pattern suggests using the Internal Wire Frames - Style C, available at Emmaline Bags (North America) and Bobbin Girl (UK). I used the frames for the first time and I was impressed that they withstood inserting into the channel, which had a few really tight spots. The frames also help the bag hold its shape when opened. Because the zipper extends past the frame channels, the bag opens nice a wide. Don't let the style and shape fool you: this is a big bag! It measures about 14" wide and about 9" tall. There's a ton of room in there, and I actually like it as a chic evening clutch. One of the testers added full straps and turned it into a beautiful purse. You can really customize it so many ways to make it your own. Did you spot my new labels? I got them custom made at Brickbubble. I highly recommend this small business, for excellent quality and service. I also used zipper ends from Emmaline Bags instead of making the zipper tabs (instructions in pattern for making zipper tabs). This pattern has an overlay that is a perfect way to try out vinyl. I used the brown vinyl from Paccana and think the rich mottling of browns is a nice contrast to the peacock blue print I used from Hawthorne Threads. So go grab your free copy and get started! I'm probably the odd one out here, but as a kid, I really looked forward to going back to school in the fall. Now as a parent, I notice my kids aren't as excited as I was, but I still try to make the start of the school year a big deal. I find getting them involved in the process really helps: deciding what I'm making, picking the pattern, and picking the fabric. 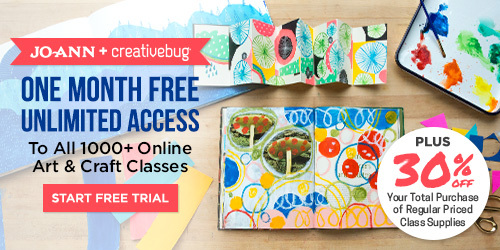 Are you adding some handmade love to your kids' school routine this year? In most of Canada, we have almost 2 weeks left before they go back. I've gathered up some great projects that I think would work well for the school year. The staple of back-to-school bags! Here's the Not-So-Tiny Explorer Backpack I made my son last year. You can read all the details in this post, but the gist is that I bought the Diedelbug Tiny Explorer PDF and followed the tutorial to expand the bag, making it the perfect size for most primary kids. These aren't quick or cheap to make, but they last. My son is happy to be using this one again this year. My other son has asked me to make him a backpack and after looking through many patterns, he's set on the Sew Sweetness Cumberland Backpack. It comes in 2 sizes, so I'll make him the small. I love the shape! This one would be great for a teenager who wouldn't need to carry too much. It fits my iPad plus some extras. I remember as a teenager, a large backpack cramped my style a bit, so I only brought my big backpack if I knew I had a ton to carry. Otherwise, I would have loved one like this, with just enough room for the essentials. The Calla Convertible Backpack from Blue Calla can also be worn as a purse, just move the straps to the front and carry on your shoulder! Don't forget to use the exclusive discount for Happy Okapi readers OKAPI10 to save 10% on any Blue Calla pattern. Don't forget to eat! Lunch Bags are one of my favourite things to make; probably because they're something practically everyone can use, and they're fairly quick to make. I make mine insulated and I find the insulation works really well to keep foods cool all day long. I made this fun, framed lunch bag with fabrics designed by Jackie McFee. The pattern allows for several different prints and I thought these fun flowers, chevrons and dots were perfect. You can find the pattern, and required frames from Emmaline Bags. It's a really great size and allows for a full lunch with all your reusable containers. This is actually a set of PDF patterns. I made the rounded zip top one last year, and it's such a cute shape that my son has requested one this year. Head over to the Sew Sweetness site to see the other bags in the set. My very first tutorial was for a lunch bag and I actually just retired the one made in this tutorial, to make room for another of the same design, but with a new print. These ones are so quick to make and have lots of room for containers, water bottle and ice pack. These are so quick to make; it probably takes longer to decide on a pattern and print! This pattern is in Handmade Style by Anna Graham of Noodlehead. I made this one in another fabric collection from Jackie McFee, this time is classic black and white with a pop of yellow from the zipper. If you're pressed for time but want to get a quick sew in, this is a great project. The binding makes it so fast and best of all: no hand sewing! I made this large Sew Sweetness Filigree Double Zip Pouch, which works as a cosmetics pouch, but there's no reason it couldn't be used for pencils and other supplies. 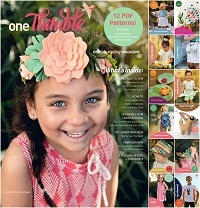 The pattern offers 3 sizes, so you could make one of each! Sew Sweetness also offers this boxy version of a double zippered pouch, which looks to be perfect for school supplies. Back to school doesn't always mean loaded up with text books. So many students heading back to campus leave the books and bring the tech! This Messenger bag pattern is so versatile and I've seen many in masculine prints, making it perfect for boys and men. This laptop bag from Sara Lawson's book Windy City Bags is on my must-try list. I think the unique design makes it so functional, yet stylish. I also like that it's easily unisex. The Lilium Laptop Bag looks like a fancier take on the traditional messenger bag, and made with enough padding to protect your device. I made this Tablet Shoulder Bag from the On-The-Go Bags book; this pattern is from Sara Lawson. I like that it looks like a purse, but it actually carries your tablet! There's a padded pocket inside to protect your device, plus plenty of room for a notebook and pencil case. I used yet another Jackie McFee collection of fabrics for this bag. I think the mint and grey colour combo is both trendy and sophisticated, plus the geometric prints remind me of DNA, taking me right back to my college days. Here are a few projects that didn't fit into the other categories but they're great to have and worthy of a share. I made this North Pond Notebook Cover from Radiant Home Studios (and you can read more about it here) as a cover for my bird journal, and I love the idea of covering a notebook for each class. I've made several of these Sew Sweetness Creative Maker Supply Cases, and they really are great to have. You can customize the case so easily too! Any art student would be thrilled to have their supplies so nicely laid out and available. The pattern comes in 3 sizes: the small is perfect for a child's crayons and small colouring book (pictured below right). If you like the idea of the Creative Maker Supply Case, but think you need more storage, check out it's fully-loaded big brother version, the Ultimate Art Organizer. You may have seen me post about this bag recently. I made the medium duffel for my son, and I think it would work for a gym bag for an athletic teen, with plenty of room for some books and lunch. Check this post for all the details. Well, after compiling this round-up, I've concluded that Sara Lawson of Sew Sweetness must love back-to-school as much as I do. How about you? Are you doing any special sewing for this time of year?